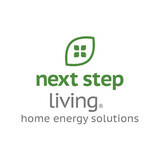 Next Step Living® is the leading provider of whole-home energy solutions in the Northeast. Headquartered in Boston’s Innovation District, Next Step Living makes it easy and affordable for people to have a low environmental impact. Next Step Living partners with more than 400 municipalities, civic organizations, leading corporations and utility companies to deliver energy-efficient and environmentally friendly solutions for better living. Please visit NextStepLiving.com for more information. Green Restoration Group LLC is a damage restoration contractor serving the Arlington, MA area. Services include Water Damage Restoration, Emergency Water Removal, Mold Detection, Mold Removal, Dry Out Services, Flood Damage, Basement Flood, Burst Pipes, Appliance Leaks, Toilet Overflow, Basement Waterproofing, Contents Cleaning, Fire Damage Restoration, Smoke Damage Restoration, Construction Services, Board Up Services, Disaster Cleanup, Allergen Removal, Odor Removal, Asbestos Removal, Air Duct Cleaning, Crawl Space Cleaning, Crawlspace Insulation, Ice Dam Removal, Puff Back Cleaning, Roof Leak Repair, Sewage Cleanup, Sump Pump Systems, Trauma Scene Cleanup and Vandalism Damage. 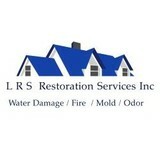 LRS Restoration is a water damage restoration serving the Peabody, MA area since 2002. Services include Water Damage Restoration, Emergency Water Removal, Fire Damage Restoration, Smoke Damage Restoration, Flood Damage, Burst Pipe, Appliance Leaks, Dry Out Services, Mold Remediation, Mold Testing and Storm Damage. 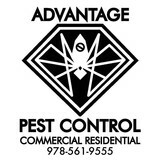 Advantage Pest Control, Inc is dedicated to providing Topsfield and the surrounding towns with honest, reliable pest control service. Whether you need one-time service or an annual plan, pest exclusion, or just a consultation, we put your specific requirements first and provide you with an "Advantage Over Pests". 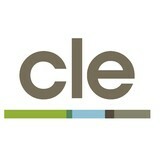 CLE originated as a consulting firm that specialized in civil and marine engineering. Over the years, our capabilities have become more diverse, and today, CLE is known as a premier full-service engineering firm offering expertise in the fields of hydrographic and topographic surveys, dredge engineering and material management and in the disciplines of structural, geotechnical, architectural, marine, environmental, and civil engineering. As a complement to our professional engineering and surveying capabilities, CLE also offers comprehensive planning, permitting and construction management services. Absolute Water System LLC designs water purification systems to remove a variety of contaminants. Our systems treat everything from hard water, arsenic, volatile organic compounds, to radon and more. An independent lab analyzes the water so we can design a customized solution based on the test results. After installation, we test the water again to ensure the impurities are gone, and safety standards are met. We also install radon air systems. Our team is fully licensed and insured to handle asbestos in a variety of residential and commercial situations. Paul Scott has over twenty years of experience in the asbestos abatement field. We understand that your health and safety are major concerns, and want to do everything we can to ensure that your job is treated with the respect it deserves. Whenever you call our company, one of our technicians will answer and provide all the information you need to make a decision. Our owners are present on every single job, and during every estimate, and you'll never be working with a unlicensed employee at any point. 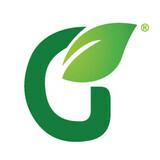 HomeWorks Energy specializes in home energy assessments & is passionate about saving money, energy & the environment. Learn how we can help you save. UCM Services Newton is a professional cleaning service provider, located in Newton, MA. We specialize in carpet cleaning, upholstery cleaning, air duct cleaning, hardwood floor refinishing and much more. You will get beneficial tips about how to take care and maintain your carpets, rugs and upholstery. Call us today to get a free price estimate, no obligation or commitment. Your satisfaction is guaranteed. VIsit <a rel="nofollow" target="_blank" href="http://www.HepaAirScrubber.com">http://www.HepaAirScrubber.com</a> or call 800-391-3037 for lowest price and cost for Worcester MA Air Scrubber Rentals today! Red Sky Rentals provides comprehensive equipment rental solutions for all of your immediate disaster, water damage and fire restoration needs nationwide. Our portable air scrubbers are ideal for homeowners and contractors dealing with the effects of fire, smoke or water damage. We can quickly provide the disaster cleanup and remediation equipment you need. As one of the leading & most vertically integrated particle counter manufacturing companies in the industry we manufacture, sell & service our high quality particle counters. We provide precise, high quality, extremely reliable particle counters and air Monitors. We can supply everything related to your air quality monitoring needs. Our main motive is to provide precision high quality extremely reliable particle counters, air quality monitoring equipment. We stay ahead of the curve by providing state-of-the-art instrument technology. You’d want to hire a Massachusetts environmental and restoration company to safely remove mold, or to rebuild after a fire or flood. Unlike normal renovation professionals, a restoration company will often start by securing your home and possibly removing dangerous contents before beginning any repair work. Most environmental damage is caused by water, fire or wind, so you’ll want to choose a Massachusetts restoration professional with experience in one or all of these areas. What about mold remediation? Mold remediation is the process of removing mold safely following industry protocols. Special training, equipment and licensing are required. Make sure you are working with Massachusetts certified, licensed and insured professionals who guarantee and warranty their restoration work. Older homes needing restoration may have lead paint on walls, doors, windows and windowsills. Lead that gets disturbed by sanding, cutting or replacing old windows can create hazardous lead dust. If your Massachusetts home was built before 1978, you’ll want to find restoration professionals with experience and training in lead-safe procedures. Find environmental services and restoration professionals on Houzz. Narrow your search in the Professionals section to Boston, MA residential environmental testing and home disaster restoration services to find a list of qualified professionals. Read through professional profiles for information on qualifications, experience and services provided.